Don Gotterbarn, et al (Jan 2018). 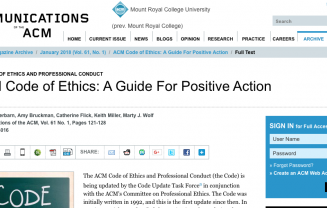 “ACM Code of Ethics: A Guide For Positive Action”. Communications of the ACM, Vol. 61 No. 1, Pages 121-128. John Zysman and Martin Kenney (Feb 2018). 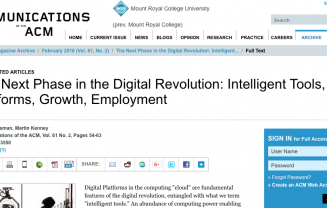 “The Next Phase in the Digital Revolution: Intelligent Tools, Platforms, Growth, Employment”. Communications of the ACM, Vol. 61 No. 2, Pages 54-63. Yonatan Sompolinsky and Aviv Zohar (March 2018). 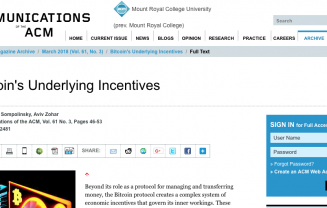 “Bitcoin’s Underlying Incentives”. Communications of the ACM, Vol. 61 No. 3, Pages 46-53. Richard R. Brooks, et al (May 2018). 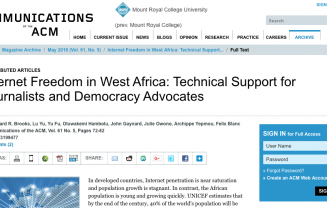 “Internet Freedom in West Africa: Technical Support for Journalists and Democracy Advocates,” Communications of the ACM, Vol. 61 No. 5, Pages 72-82. Head, Simon (May 24, 2018). 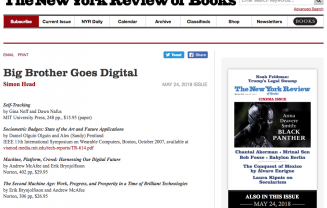 “Big Brother Goes Digital,” New York Review of Books, 65 (9). Bryson, J. J. (2018). 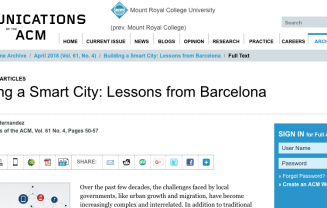 Patiency is not a virtue: the design of intelligent systems and systems of ethics. Ethics and Information Technology, 20 (1), 15-26. Arnold, T., & Scheutz, M. (2018). The “big red button” is too late: an alternative model for the ethical evaluation of AI systems. Ethics and Information Technology, 20(1), 59-69. Harkens, A. 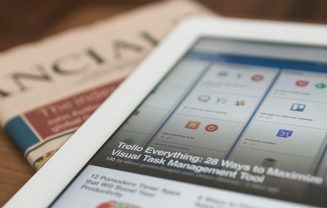 (2018) “The ghost in the legal machine: algorithmic governmentality, economy, and the practice of law”, Journal of Information, Communication and Ethics in Society, Vol. 16 Issue: 1, pp.16-31. Ryu, S., & Park, B. (2018). Do I want to pay to download movies: Factors affecting acceptance of legal movie download services. 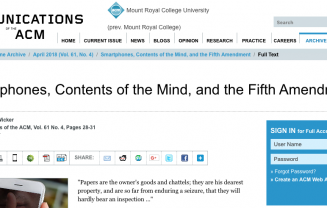 Journal of Information, Communication and Ethics in Society, 16(1), 45-60.